The number of missionaries killed during 2013 was almost double that of 2012 according to new figures released by the Vatican. These latest statistics show that 22 (mostly priests) missionaries, or pastoral care workers, were killed worldwide last year compared to 13 in 2012. The statistics also show that for the fifth consecutive year, the place most affected, with very high numbers of pastoral care workers killed is Latin America, especially Colombia. Those who died violently in 2013 were 19 priests, one religious Sister, and two lay people. Geographically, the deaths break down as follows: 15 priests were killed in Latin and Central America: seven in Colombia, 4 in Mexico, 1 in Brazil, 1 in Venezuela, 1 in Panama, and 1 in Haiti. In Africa, 1 priest was killed in Tanzania, 1 religious Sister in Madagascar, and 1 lay person in Nigeria. In Asia, 1 priest was killed in India, 1 in Syria and 1 lay person was killed in the Philippines, while in Europe, one priest was killed in Italy. There are no Irish missionaries on the list. However, a colleague of Irish volunteer in a Haitian orphanage, Edward Major, an unarmed watchman was killed. He died and Gena Heraty from Co Mayo survived in a vicious assault during a robbery at a special needs clinic for orphan children on the outskirts of Port-au-Prince. After the attack in November, Gena Heraty said she was more determined than ever to continue her work. Also in November 2013, a Columban priest who survived kidnapping in the Philippines was among those honoured in Dublin at the inaugural awards ceremony for returned missionaries. Fr Michael Sinnott (83) from Barntown, Co Wexford, was kidnapped in October 2009 and held for more than a month by a rebel Islamic group. After 42 years in the Philippines, he retired in 2012 and returned to Ireland. The statistics show that the majority of pastoral care workers in 2013 were killed in attempted robbery, and in some cases violently attacked. According to Fides, this is a sign of the climate of moral decline, and economic and cultural poverty, which generates violence and disregard for human life. The provisional list compiled annually by Fides, does not include those unaccounted for. Those known to have been kidnapped or disappeared, of whom there has been no news include three Congolese Augustinian priests of the Assumption, kidnapped in North Kivu, in the Democratic Republic of Congo in October 2012, and a Colombian priest who has been missing for months. In Syria, there has been no news of the Italian Jesuit, Fr Paul Dall’Oglio, or the two metropolitan Bishops of Aleppo – the Greek Orthodox Boulos al-Yazigi and the Syrian Orthodox Mar Gregorios Yohanna Ibrahim; and the Orthodox nuns of the monastery of Santa Tecla. However, Fr Georges Vandenbeusch, the French ‘Fidei Donum’ priest who had been kidnapped on 13 November in his parish home in Nguetchewe, Cameroon has just been released. Fides publishes its list, not only of missionaries in the strict sense, but all pastoral care workers who died violent deaths. It is up to the Church to judge their possible merits as martyrs and this has happened in many cases. For example, in 2013 the beatification process began for the six Italian missionary Sisters of the Poor of Bergamo who died in Congo in 1995 after having contracted the Ebola virus when they would not leave the local people without health care. They have been defined as “martyrs of love”. On 25 May 2013, the beatification of Fr Pino Puglisi, who stood up to the Mafia, was celebrated. 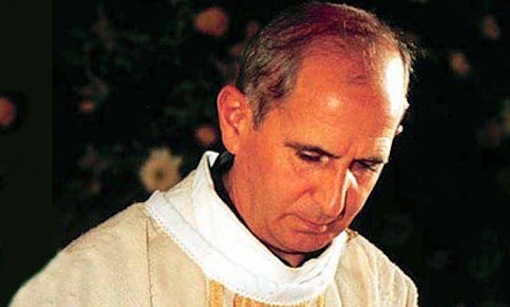 “His gentleness and his unceasing missionary work, collided with a logic of life opposed to faith, that of the mafia, that hindered his pastoral action with intimidation, threats and beatings, to the point of killing him, in hatred of faith,” the Bishops of Sicily wrote of him.